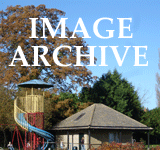 The Junior History Group of Eynsham Primary School published this journal from 1995-2006: editor Pamela Richards; documents alongside (or below on mobiles). It generally appeared twice a year, with support and contributions from many residents, including the Story of our Shops (1998). 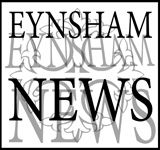 Three special issues covered Eynsham Inns (1997), School History 1967-1999 and Aelfric the Teacher (2005). “I have fond memories of the Group from primary school days. We sat in the South Wing library and later in the TV room, researching everything from things like the ancient Egyptians for our school work, to the 1901 census. The Group was run by Mrs Richards, with a variety of assistants throughout the years. It ran for any primary school children who wanted to attend, and every term we studied something different. 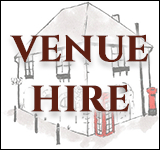 “I particularly remember learning about Eynsham Abbey. This involved looking at maps the grounds, learning a bit of Latin, making illuminated letters, learning how the monks would have lived, and also doing a short play about Aelfric and the colloquy, which we performed for the school and for the EHG. “Another topic I found particularly interesting was the 1901 census. We looked at maps of the village in 1901, and I was surprised by which parts are still around, and how small the village seemed. We also looked at the types of jobs then, and did research into those. A lot of names seemed familiar, so some of us researched a bit about family trees, and this in turn sparked an interest in where our names originated. I still remember that my surname of 'Marks' either came from one of my ancestors being a 'marksman' (good with a gun or bow and arrow), or a stallholder at a market, who was once also called a 'marksman'. Jobs were also on the census, and I researched the rope-making business in the village. 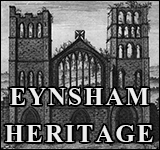 Eynsham Junior History Group 1987-2007 recalled by Matthew J Marks in Eynsham Record 24 2007.